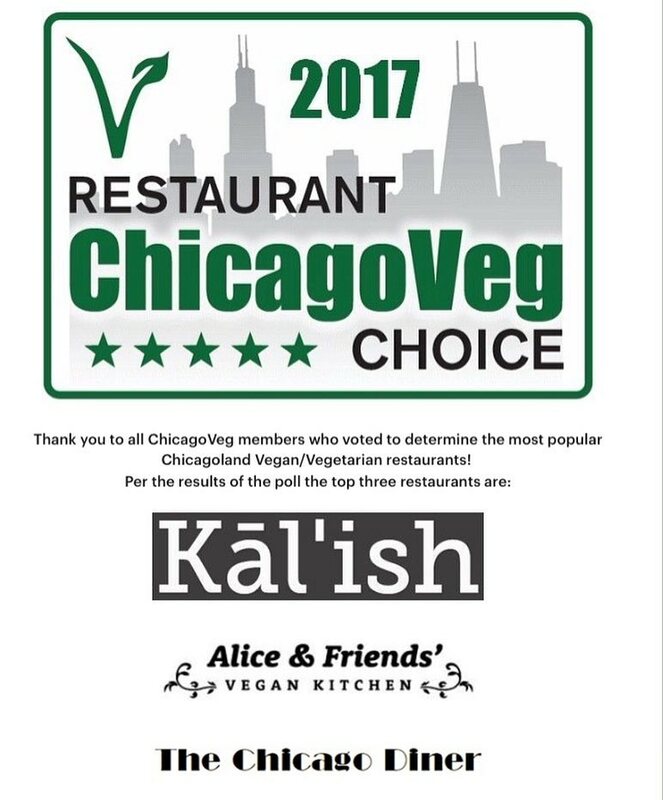 Congratulations to Kal'ish Vegan (1313 W Wilson) for being named Most Popular Vegan/Vegetarian Restaurant in Chicago for 2017 by ChicagoVeg. 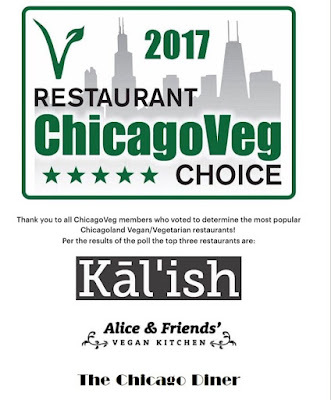 Not bad for a restaurant that just celebrated its first anniversary last month! Congratulations to Gina and Andy Kalish for making their vision come true.